The Mitsubishi HC3000 home theater projector, one of the most highly anticipated new product releases of the season, has just begun to appear on dealer shelves. 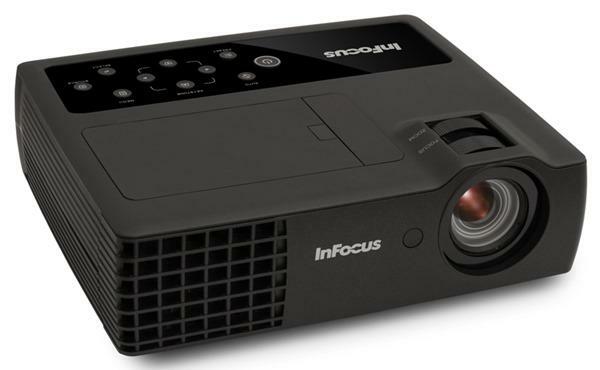 It has attracted a great deal of attention for two reasons: (1) it is the first DLP projector with native 720p HD resolution to come through the magic $3,000 price barrier, and (2) it is the first DLP projector to come to market featuring Texas Instrument's new BrilliantColor™ technology. For those who have been waiting for high resolution DLP projectors to drop to prices that can be easily managed by the typical consumer, the wait is over. The HC3000 is a another step forward in DLP price/performance, and it delivers a lot of picture for the money. One of the distinctive features of the HC3000 is its native resolution of 1280x768, rather than the conventional 1280x720 that we find on most competing home theater projectors in its price class. This is a native 15:9 aspect ratio rather than 16:9. There are a couple of advantages to this format. First, computer signals in WXGA (1280x768), or standard XGA (1024x768) can be displayed full frame without scaling or cropping. So, for example, those who wish to Internet surf on the big screen can view the computer image in its clearest native form. Meanwhile, all 16:9 widescreen video material can still be displayed full frame in native 1280x720. When used exclusively in this mode, the extra 48 lines of physical display enable you to move the image up and down slightly, providing a modest digital lens shift function that can make installation a bit easier. This helps to compensate in a minor way for the absence of physical lens shift. The other unique feature of the HC3000 is the BrilliantColor technology from Texas Instruments. As announced by TI and reported here previously, BrilliantColor consists of a new color processing chipset and a new color wheel design that includes filters for both the three primary and three complementary colors—red, green, blue, cyan, magenta, and yellow. However, in this particular implementation, Mitsubishi has used TI's new BrilliantColor chipset and adapted it for use with a conventional six-segment RGB-RGB color wheel rotating at a 4x speed. In operation, you can opt to activate or deactivate the BrilliantColor system by toggling On or Off in the menu. When BrilliantColor is activated, the picture becomes immediately brighter. Blacks and shadow values remain perceptibly unchanged while midtones and highlights increase in luminance by about 25%. All colors increase in luminance by the same ratio, and gray values do as well. Though midtones and highlights are brighter, there is no visible increase in color saturation. The result is that it opens up mid-tone information nicely. However, depending upon how it is calibrated and the screen size and material being used with it, it may overdrive the whites. A reduction in the contrast control may be required to bring the intensity of the whites down to a manageable level. Most HC3000 users will opt to run with BrilliantColor engaged, as the picture typically looks a bit dull by comparison when it is not operating. However, this will depend on the material being displayed. For example, with material like HD sporting events, or the television series Lost in HD, or animated DVDs like Toy Story and Shrek, the BrilliantColor feature delivers a more engaging image overall. However, when we viewed a live indoor concert being broadcast in HD, the scene itself was already extremely high in contrast due to stage lighting and spotlighting. With this type of material the color and contrast appeared more natural with BrilliantColor deactivated. Thus, you will want to experiment a bit and find your own preferences. Regardless of whether BrilliantColor is activated or not, the HC3000 manifests the classic dynamic range that DLP technology has become famous for. When Shrek and Donkey lie on their backs and look up at the constellations in the night sky, the sky is solid black and the stars are a brilliant white. When the Universal Pictures logo revolves into place in front of the blue earth, the logo glows a dazzling white against the deep black space in the background. Many DLP fans appreciate this, for projectors like the HC3000 handle these scenes with deep black and sparkling whites with greater dynamic range than any of the LCD competition. And indeed, the eye is naturally mesmerized by the sparkle of extreme contrast. The HC3000 has an internal motor-driven iris that you can choose to open or close via a button on the remote control. The excellent black levels just noted are obtained even with the mechanical iris in the open position. But they get a bit deeper when you close the iris. This reduces lumen output by one-third, and produces a subtle increase in contrast. Whether you want to run with the iris opened or closed will depend in part on the screen size you intend to go with. But it is a nice option to have available. We must note that on the newest digital projectors that are capable of extreme dynamic range, this effect can be over the top to the point where it is artificial--whites are often overdriven to the point that they glow. This is not good. When subtitles appear on the screen, they should look naturally white without being distractingly bright. When Bond appears in his tux in a casino, his shirt should appear as white fabric without any hint of a brilliant glow. On our HC3000 as calibrated out of the box, the highlights were overdriven, and the contrast setting needed to be reduced a bit to tone it down. In terms of overall image quality, the HC3000 is one of the best values on the market as far as DLP projectors are concerned. At prices under $3,000, it delivers the excellent blacks and contrast that DLP fans want, along with the beautiful HD performance that comes from 720p resolution DLP chips. HD material looks reasonably sharp and clear, and certainly on par with most other 720p DLP projectors we've seen. Standard definition material is scaled with good precision. We've seen a few 720p DLP projectors with a sharper image, but not many, and none anywhere near this price range. Color saturation is as good as or better than any DLP product we've seen anywhere in this price range. We saw very little dithering in the shadow areas. Meanwhile, the distinctive DLP noise or jitter is present on this model, just as it is on many other DLP products. It is most evident in midtones and highlights, and it imparts a subtle graininess to the image overall. However, this is a common characteristic of DLP, and it is not more apparent on the HC3000 than it is on most other DLP projectors. The bottom line is that the HC3000 performs as well or better than other 720p DLP products that cost a lot more. You cannot get a deeper black level in this resolution for this money. As such it represents a uniquely compelling value in the present market. One other unique feature of the HC3000 is its filter-free design. Most projectors have air filters that need to be cleaned every month or two. Not so on this unit--you can install it and forget about filter maintenance forever. That will be an unusual and welcome experience for folks who are on their second or third projectors. The most evident shortcoming of the HC3000 is the limitations inherent in the optics. The short 1.2x zoom range on the lens as well as the absence of physical lens shift imposes some restrictions on how the HC3000 can be installed. The 1.2x zoom lens allows for modest variances in throw distance to obtain any desired image size. If you want a 100" diagonal 16:9 image, you can get it by placing the projector between 12 and 14.5 feet from the screen. Furthermore, there is no optical lens shift, but rather a built-in fixed throw angle offset of about 1/3 the picture height. That is, if the projected image is, say 120" diagonal, the picture height will be 59", and at this size, the bottom edge of the projected image will be about 20" above the centerline of the lens. The top edge of the image will be 79", or about 6.6 feet above the centerline of the lens. Mounting the HC3000 on a shelf behind the seating area is not going to be practical for most users. If placed in its standard orientation, it will project the image too high to be manageable, and a radical tilt would be required to compensate for it. As per the manual, the projector may not be inverted and placed on a rear shelf as it interferes with the cooling system. Therefore, the best solution for many HC3000 users will be to ceiling mount it. As an example, if you have a nine-foot ceiling, the HC3000 will throw a 120" image downward with the same offset noted above. Thus it will strike the wall with the top edge about two feet below the ceiling and the bottom edge about two feet above the floor. This would be an ideal placement for optimal screen illumination, since the light is thrown downward at a modest angle, and bounced back into the viewing area at a similar angle. The point of this discussion is to underscore the fact that the HC3000 is somewhat restrictive in installation options compared to many other home theater projectors due to its short zoom range and lack of physical lens shift. As always, before ordering any components for a home theater, you must first determine the screen size you want and where you want it located. Then verify that the projector you are considering can be located in a comfortable position to fill the screen without resorting to tilts and keystone adjustments. The Mitsubishi HC3000 may be viewed as a breakthrough product in the world of DLP technology for having pushed 1280x768 resolution to the lowest price points yet. The pixel matrix of 768 lines, which is rare at this time in home theater projectors, adds a valuable dimension for those who wish to use their projector for both video and data display, as XGA and WXGA computer signals can be viewed in their native unscaled, and/or uncropped formats. The BrilliantColor feature brightens up the picture and is an added benefit for most types of viewing material. Overall, the HC3000 is a solid, impressive projector. We would have liked to see a longer zoom range and physical lens shift, features that would make the HC3000 more adaptable to a wider array of installation challenges and less dependent upon ceiling mounting. Nevertheless, for those who have a room and seating layout into which the HC3000 can be accommodated with ease, it is an excellent product that will be able to deliver years of beautiful home theater entertainment.